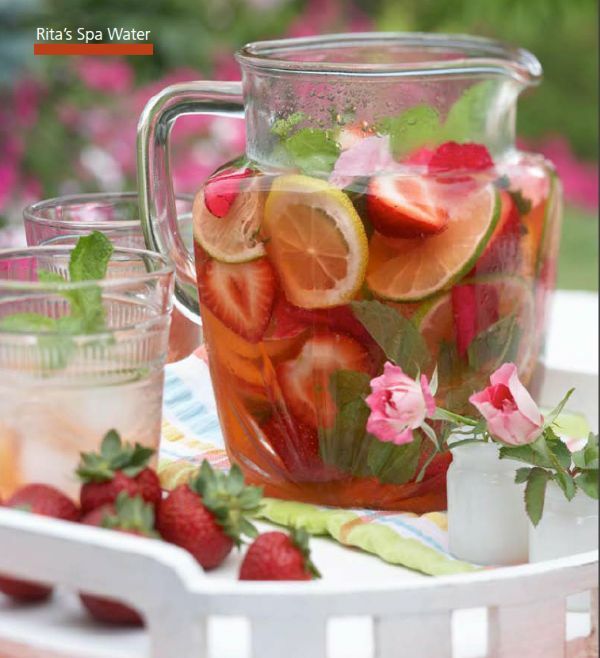 For years, top spas from around the world have touted the amazing health benefits of healthy hydration and strived to create healthier more delicious and aesthetically appealing fruit, herb and floral infused waters to pamper their guests. These naturally infused vitamin waters not only replenish and enhance relaxation but are also beautiful and refreshing! So do you want to give your home spa the finishing touch? Want to calm yourself in a sip? Or maybe you just need a more interesting way to get the recommended 8 glasses a day. Whatever your motive, infused “spa” water is perfect for this purpose. It’s healthy, tasty, inexpensive, and refreshing too. Try some, your body will thank you! What size containers do you use? For an individual serving use a 28 oz ball or mason jar. Try to drink two of mason jars a day to make sure you are properly hydrated. Using measurable containers helps to regulate how much water you are drinking, plus they are cheap and convenient. Want to make a batch for the whole family? Go ahead, knock yourself out and make a pitcher full. How long should I infuse the water? 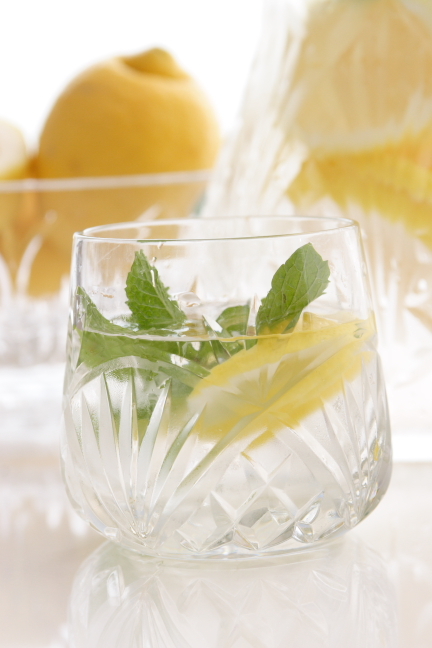 Each water recipe is different, but a good rule of thumb is to infuse for at least four hours to get the most flavor. The best way is to infuse waters overnight in the refridgerator. Can I leave the infused “spa” water out overnight? Absolutely. Would you be worried if you left a lemon or some raspberries out overnight at room temperature? Probably not. Fruit immersed in water will not change its chemical structure or cause bacteria to grow. Is it important to use organic fruit and herbs? If you are infusing fruit with the rind on, such as lemon slices, you should use organic fruit. Otherwise, you could potentially be drinking pesticides – gross! If you don’t have access to organic produce, simply cut the rinds off. Is there any nutritional value to infused waters? Yup. Nutrients leak out of the fruit into the water. You don’t get as many vitamins as you would if you were drinking fruit juice, but you don’t get the extra calories or fructose either. 1. Decide what type of spa water you want- here are the main types, but feel free to improvise. Lemon Water: Pure, fresh water with crisp lemon slices and maybe a dash of sugar. Best as a healthy alternative to lemonade, or to relax and perk up after a hard day. Orange and Lime Water: Clean, mineral enhanced water with a few small slices of lime and orange alternating. Best for spa treatments. Cucumber Water: Clean, pure water with 3-6, depending on pitcher size, large cucumber slices. Best after working out. Also, if you’re a kid, a less embarrassing way to get your vegetables. 3. 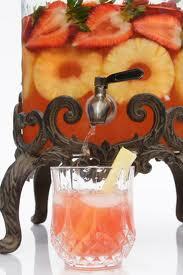 Fill a pitcher with cool water, and add a few ice cubes if desired. 4. Slice chosen fruit(s) into desired size- this varies depending on the size of the container you are using. Be careful not to put in too many or too large slices- this will cause the water to be overpowering, and make it seem pulpy and more like juice. Which you don’t want. Spa water should hint at the taste of said fruit, not completely give it. 5. Put the slices into the container(s), shake a little, and wait a few hours or overnight for the taste to set in. Posted on August 8, 2012, in Healthy Fab and tagged beauty, curly girl fitness, fitness, food, health, healthy-living, infused water, natural beauty, nutrition, recipe, spa water, vegetarian. Bookmark the permalink. 3 Comments.